Enjoy fishing and relaxing on your private pond surrounded by the best mother nature has to offer on nearly 6 acres! Workshop or big boy toys fit perfectly in the pole barn. Massive deck is ideal for parties & entertaining. Hardwood floors, huge laundry room, perfect bonus room ideal for pool table or in home theatre! 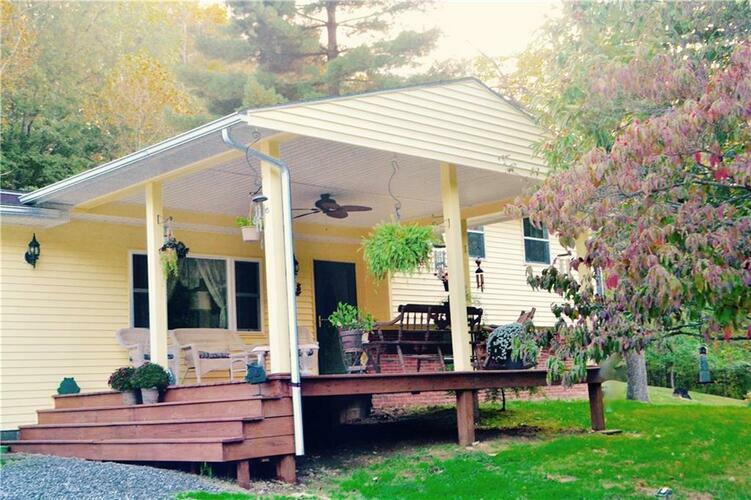 This home has tons of space with beautiful front porch to sip coffee or read the paper. Enjoy garden tub on five+ acres of seclusion. One of a kind, ready to move in to today! Directions:Take SR 67 S to US 231. Turn left on US 231 S. Turn right onto CR 300 N/Shiloh Rd. Home will be on your left.